Over the past few months, our web design and development services have been in extremely high demand. We have launched new websites for Occupational Healthcare Ltd, Vitalize Events and Bradley’s Sports Bar. But it doesn’t stop there! 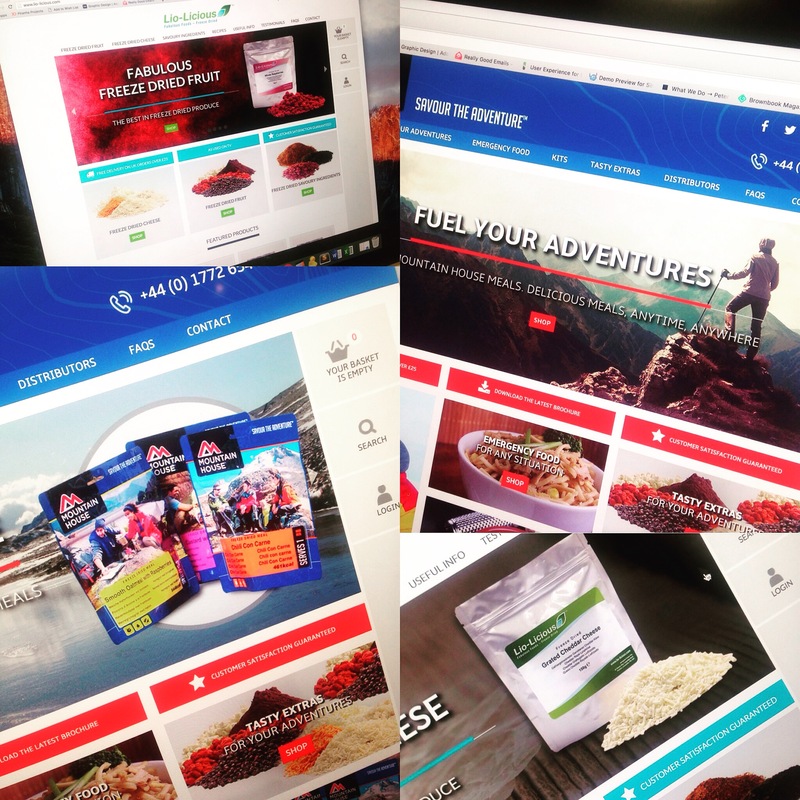 The Piranha team have recently launched two more websites for our clients, Mountain House and Lio-Licious. Both of these brands sell delicious freeze dried food which can be carried with you wherever you go in the world. They are the perfect choice for mountain climbers, hikers and other outdoor lovers. Both websites are e-commerce, meaning that users can buy the products online, which is not only easy to do but is also extremely convenient. The shopping process is simple, all you need to do is find the products that you like, select how many you would like and pay at the checkout. In the design, we have used outdoor-related photography to give any visitors a better idea of what the company does. You will also find images of the packaging and food, so that you know what you can expect to receive when you order from Mountain House or Lio-Licious. When it comes to information, we have included all of the nutritional and ingredient details that you need to know. This means that if you are vegetarian, vegan, have a gluten intolerance or any other special dietary requirements, you can check before you buy. Piranha has many years of experience in designing and building websites. No matter what industry you work in, we can create a website to suit your needs. Please call 01772 888 331 or email digital@piranha-solutions.com to find out more.